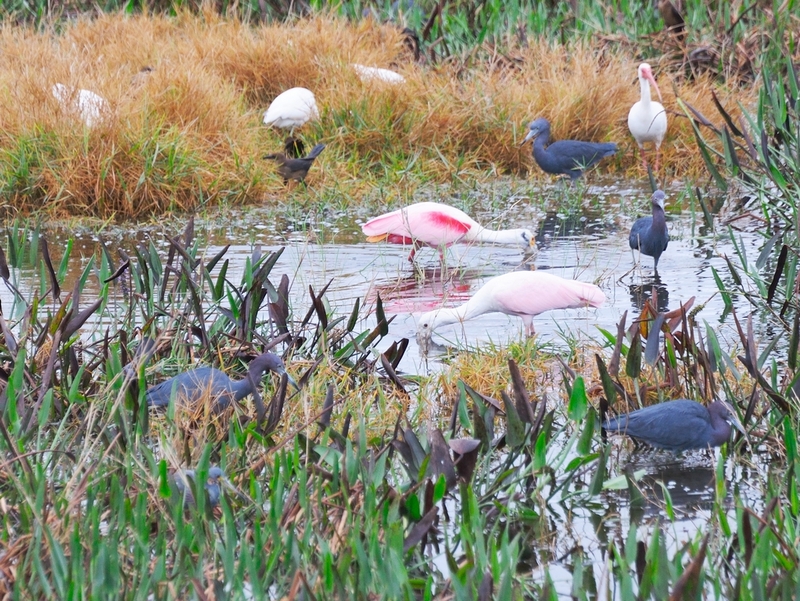 The Celery Fields is a park near Sarasota FL which has the active participation of the Audubon Society. There is a path to walk around the marshland and two boardwalks with a covered pavilion at the end for rainy days. Unfortunately, the weather wasn’t very cooperative and I arrived on a damp and cloudy day. 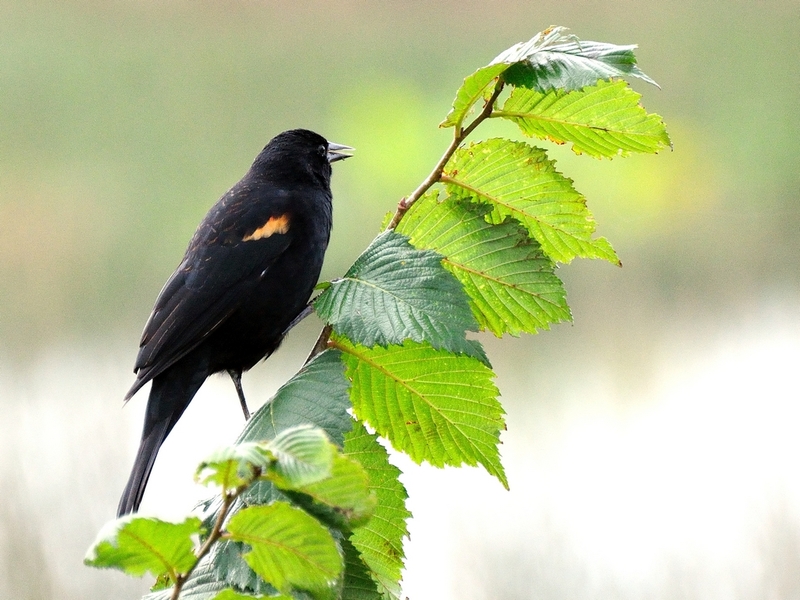 It wasn’t great for photography but was an opportunity to watch the many marsh birds there. 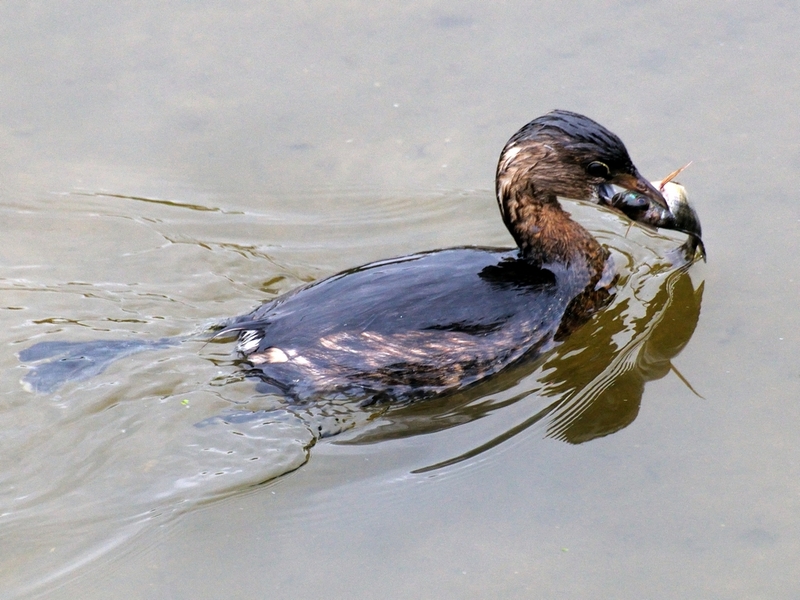 It was the first time I had actually seen a Pie-billed Grebe catch a fish and swallow it whole. 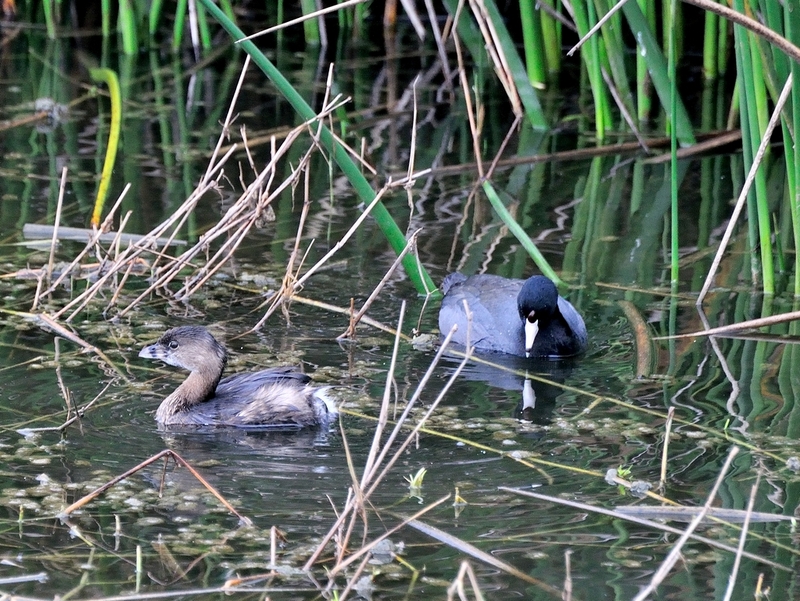 There were a pair of them in the reeds near the southern boardwalk hanging out with some American Coots. 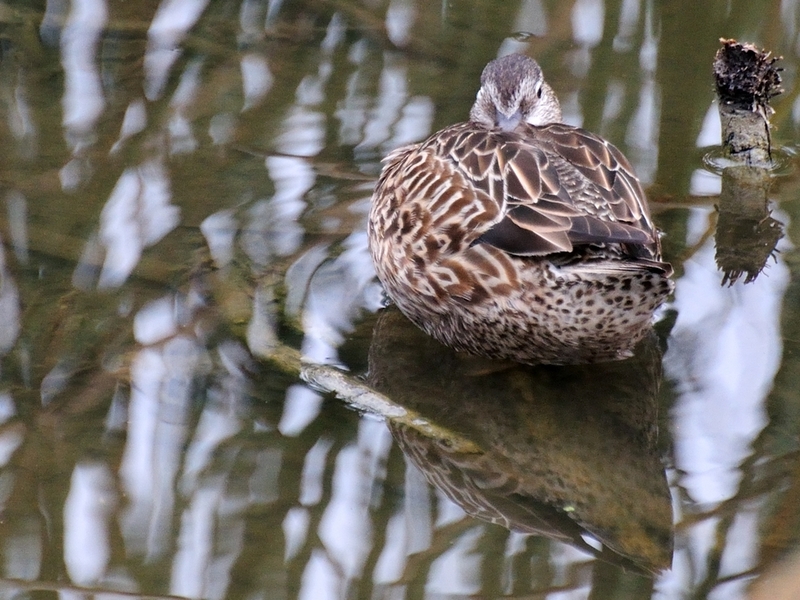 On the other side of the boardwalk was a sleeping duck who had one eye open to see what I was up to. 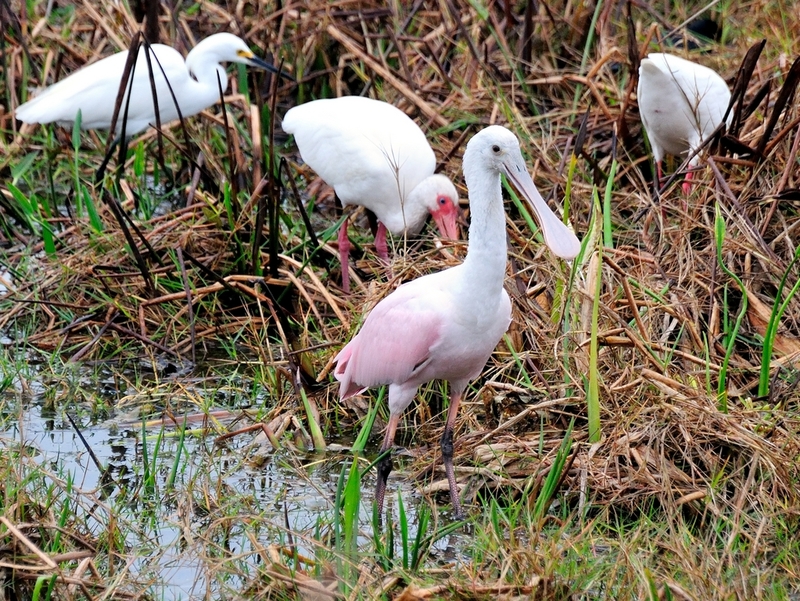 Walking on the north side on the path along Palmer Road I saw a cluster of many types of waders including several Roseate Spoonbills. 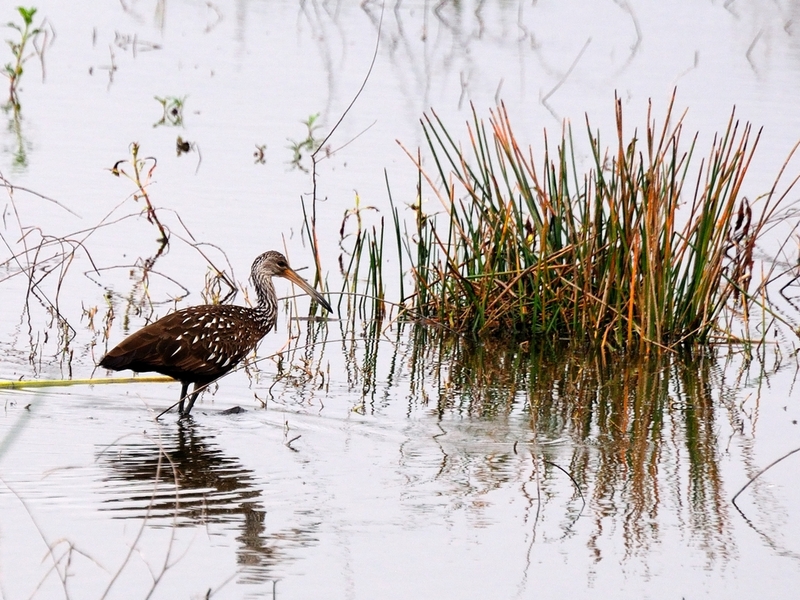 Further along, I found this Limpkin off on it’s own and a Red-winged Blackbird in the growth near the path. He wasn’t as showy as the one I found later at Venice Rookery but still a chirpy little fellow. 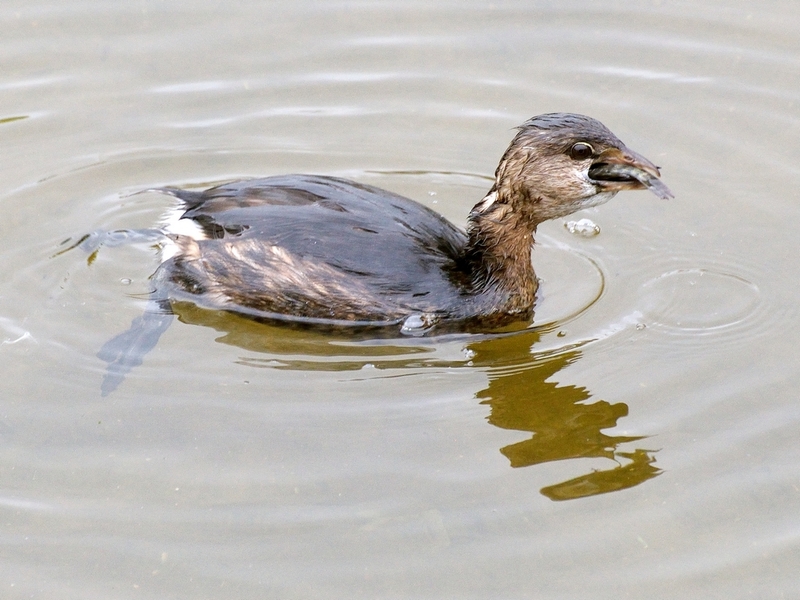 This entry was posted in Bird, Park and tagged audubon society, birds, boardwalk, Celery Fields, Coot, Duck, Limpkin, Pie-billed Grebe, Roseate Spoonbill, Sarasota. Bookmark the permalink.